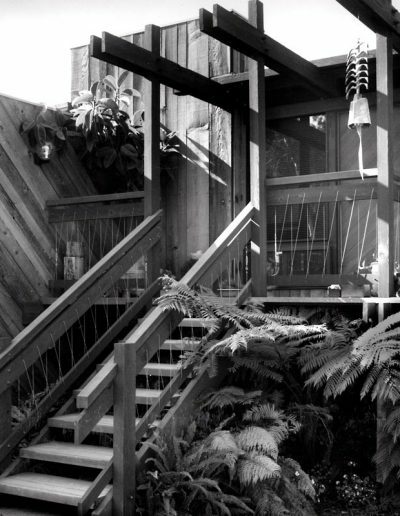 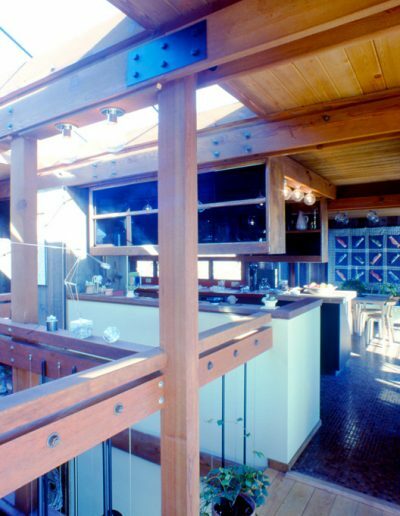 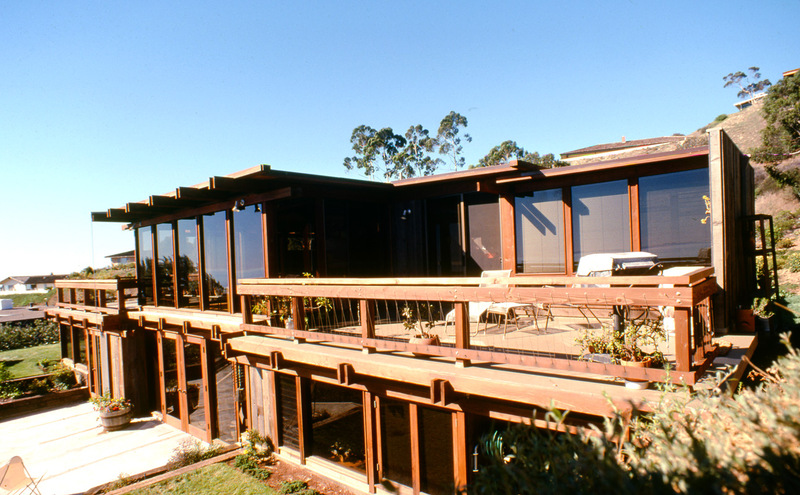 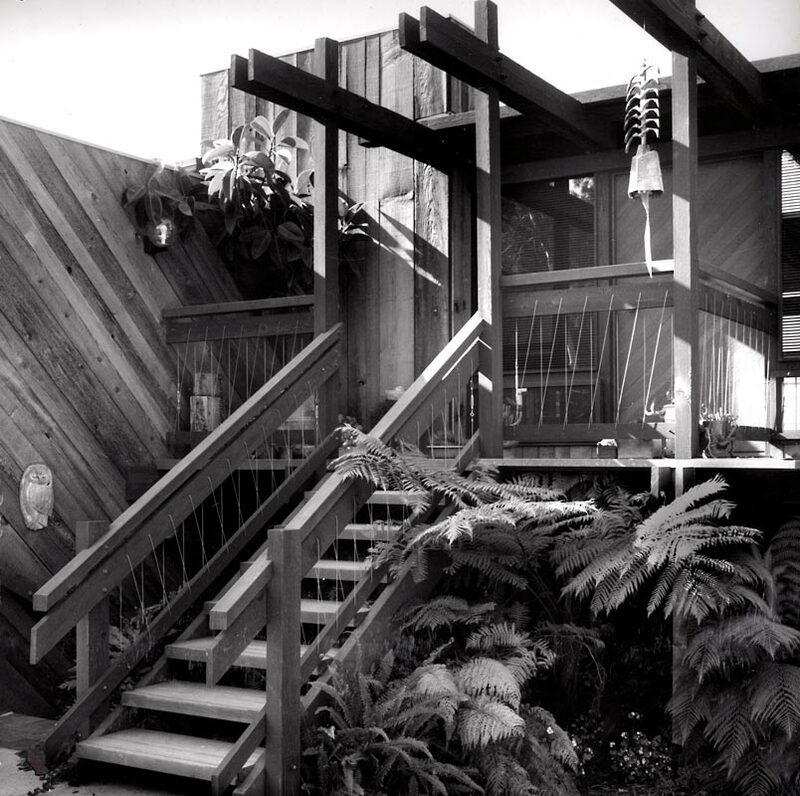 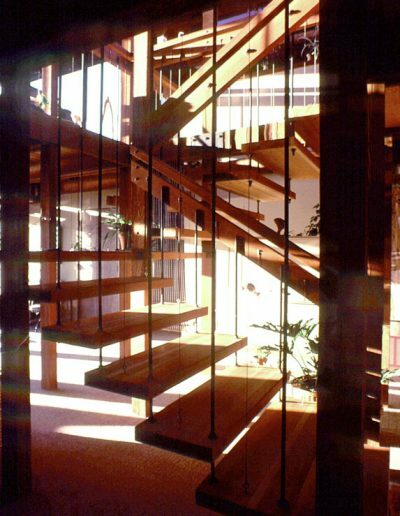 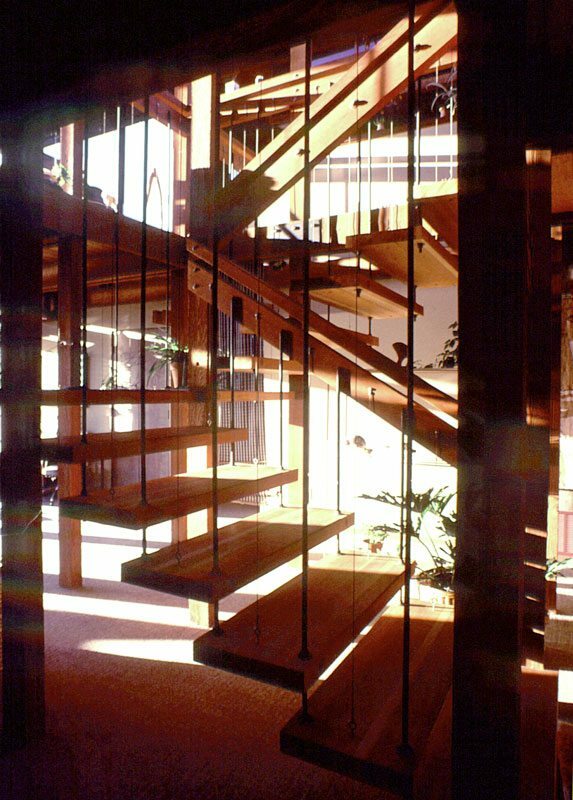 This is the first residence designed by Ewing Architects in 1972. 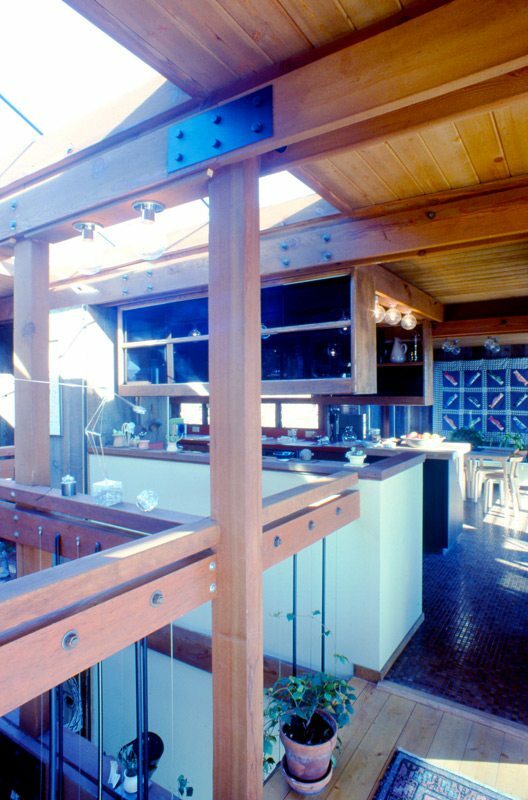 This heavy timber, 2,500 square foot two story house sits on a coastal 180 degree view lot in Laguna, California. 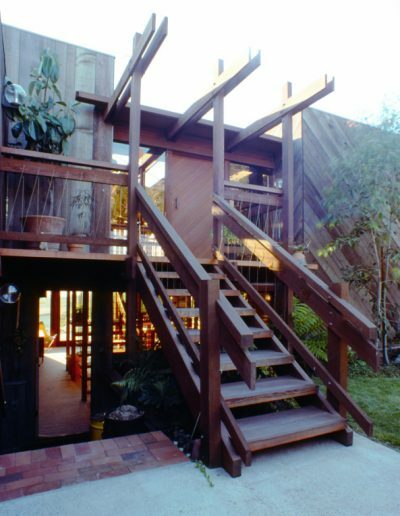 A 15 foot height limit was a barrier to two-story structures. 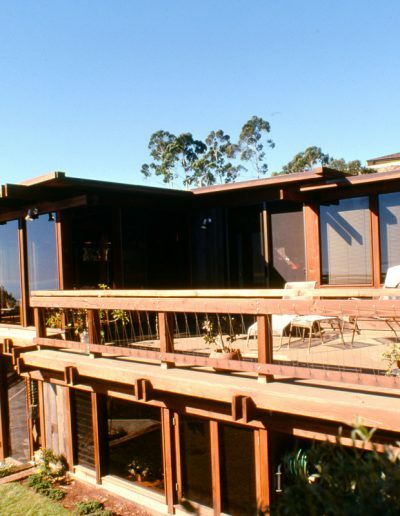 So the first floor was recessed 5 feet below grade and open to grade on the down slope side allowing for a flat roof, 2-story structure with ocean views from every room. 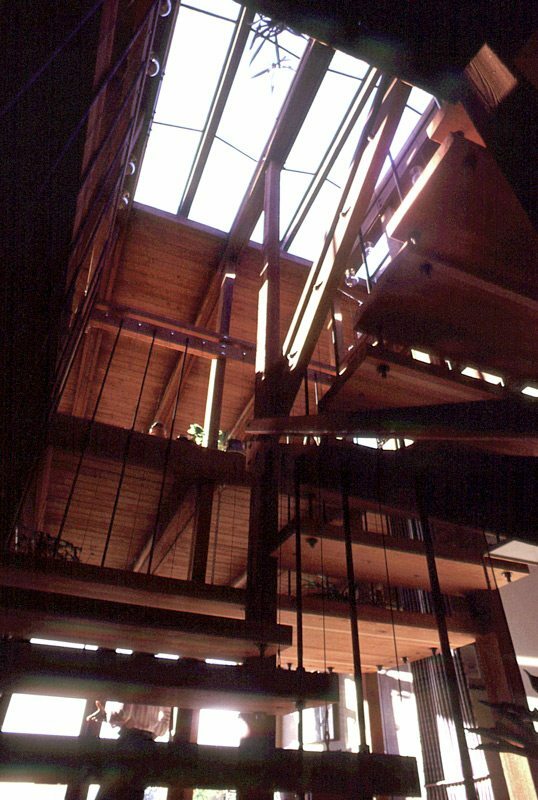 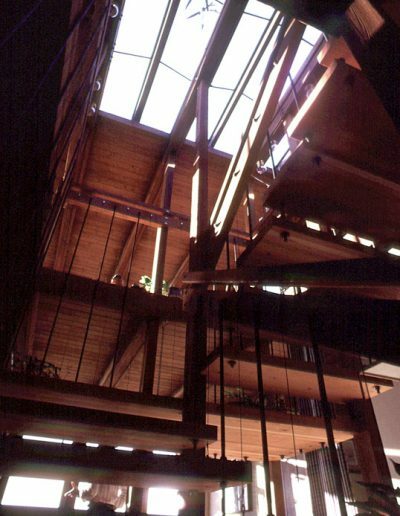 The project was sustainable and used 1×12 inch cedar boards from the dry wrapping process at the Scotia Lumber Mill in Northern California. 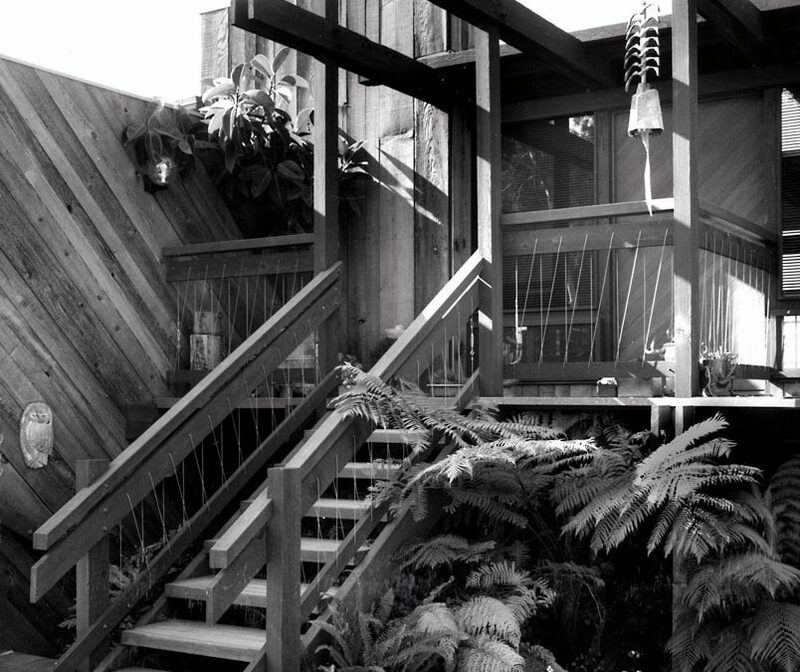 This was the first house approved by the Coastal Commission in over 3 years in this California coastal region.